Surfrider is fed up with pollution. 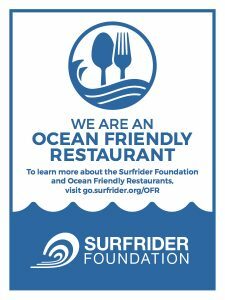 As a response to increased plastic pollution in the coastal zone and ocean gyres, Surfrider Foundation Chapters started an Ocean Friendly Restaurants program. 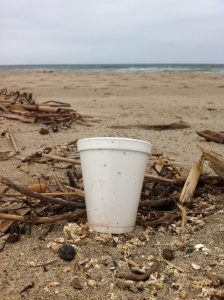 A main goal is eliminating EPS foam foodware (aka Styrofoam) because it is a top item found at our beach cleanups. There are other types of pollution and issues that restaurants can help with so we added criteria such as conserving water and serving responsible food. Scroll down for a list of ‘OFR’s. Click Here to register your restaurant or food truck as an Ocean Friendly Restaurant. Why do we need Ocean Friendly Restaurants? EPS foam foodware (cups, plates, ‘clamshells’, etc.) is a top item found at Surfrider beach cleanups and EPS foam does not biodegrade in our lifetimes. It may photodegrade and/or break into small pieces if littered, which are harder to clean up. Animals can mistake EPS foam for food or nesting materials and although inexpensive to buy, EPS foam litter can be expensive to clean up. Americans use an estimated 500 million plastic straws every day and restaurants use an average of 5,800 gallons of water per day. What are Ocean Friendly Restaurants? 1. No expanded polystyrene use (aka Styrofoam) onsite or to-go. 3. Only reusable tableware is used for onsite dining and utensils to-go are provided only upon request. 4. No plastic bags offered for takeout orders. 8. Vegetarian/vegan food options are offered on a regular basis. All seafood must be a ‘Best Choice’ or ‘Good Alternative’ as defined by Seafood Watch. 9. Water Conservation efforts such as low flow faucets and toilets. 10. Energy efficiency efforts such as LED lighting and Energy Star appliances. 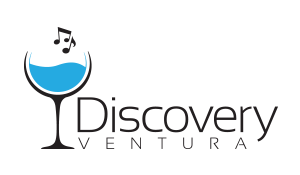 Implement all 10 of the criteria to be recognized as a Platinum Level Ocean Friendly Restaurant! 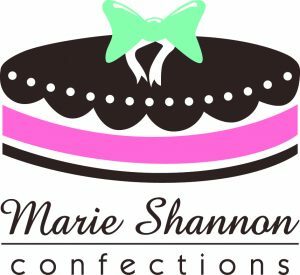 Benefits include promotion to more consumers through: social media, our website, emails, community events and beach cleanups and collaborative promotions such as launch parties or coupon days promoted to our members. Optional marketing collateral includes: OFR window sticker, table tents, and bill stuffers / info cards. Please share this info with any restaurant owners or managers you may know. Please email ofr@ventura.surfrider.org for more details and any questions.